When will be Fantastic Voyage next episode air date? Is Fantastic Voyage renewed or cancelled? 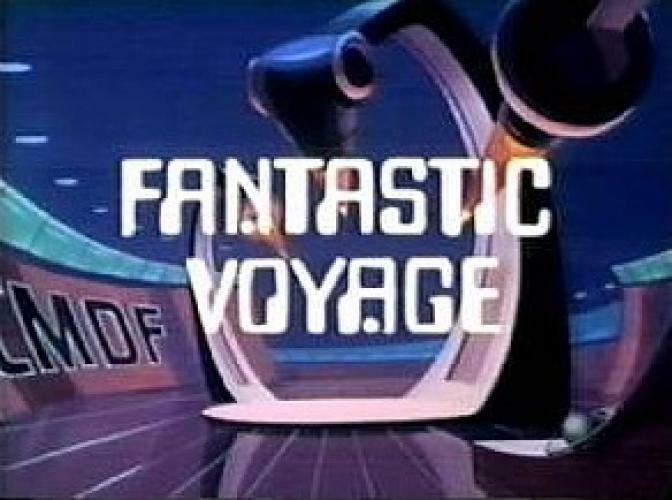 Where to countdown Fantastic Voyage air dates? Is Fantastic Voyage worth watching? Based on the 1966 movie, this cartoon featured the CMDF (Combined Miniature Defense Force) who after being shrunk to microscopic size, were sent on missions to stop secret Communist plots. The Team consisted on Commander Jonathan Kidd, Physician Erica Lane, Guru, a mystic, and Busby Birdwell, the pilot and designer of their ship, the Voyager. Produced by Filmation. EpisoDate.com is your TV show guide to Countdown Fantastic Voyage Episode Air Dates and to stay in touch with Fantastic Voyage next episode Air Date and your others favorite TV Shows. Add the shows you like to a "Watchlist" and let the site take it from there.